The Expedition 53 crew capped off last week’s investigations with fresh pickings of lettuce, cabbage and mizuna harvested from the Veg-03 investigation. There’s still some left, though, for the remainder of the vegetation will be allowed to grow and sprout new leaves. Since future long-duration explorers will expected to grow their own food to survive the harsh environment of space and Mars, understanding how plants respond to microgravity is an important component to a robust astronaut food system. Plants are still on the table for the crew, so to speak, as the week kicks off. 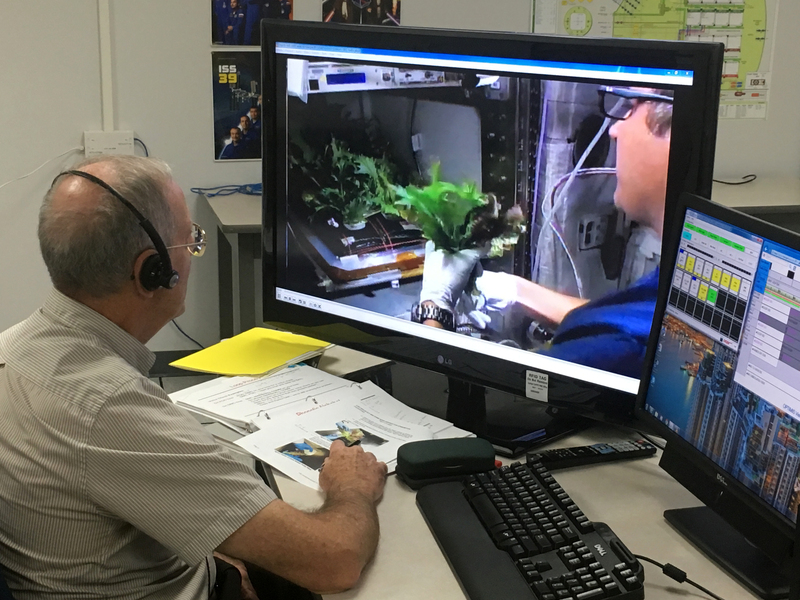 Following last week’s successful assembly and installation of the Advanced Plant Plant Habitat facility into the EXpedite the PRocessing of Experiments to Space Station (EXPRESS) Rack 5 (ER5), today the crew moved the Space Acceleration Measurement System (SAMS) Sensor Enclosure to ER5. The automated plant habitat facility will be used to conduct plant bioscience research aboard the International Space Station by providing a large, enclosed, environmentally controlled chamber. The crewmates also set up the payload components for EarthKAM in Node 2 for a weeklong imaging session. Sally Ride EarthKAM allows thousands of students worldwide to photograph and examine Earth from a space crew’s perspective. Using the Internet, the students control a special digital camera mounted on the space station to photograph coastlines, mountain ranges and other geographic items of interest from the incomparable viewpoint of space. Later, the varied topographies are shared online for the public and participating classrooms to observe. Around noon EDT, Station Commander Randy Bresnik and Flight Engineer Joe Acaba of NASA shared insights about living and working aboard the nation’s most unique U.S. National Laboratory with students from Santa Monica High School in Santa Monica, California.